You may notice that we do a lot of "hunting" activities around here. I remember how much I used to LOVE to play hide & seek with different things when I was little, and lucky me--my boys love it too! Hunting for anything is fun, especially when they are delicious CANDY CANES! Get a box or 2 of candy canes and take turns with your kids hiding them in a room and then finding them! You can even make a rule that they have to be hanging on something if you want. Or you can hide them all on your Christmas tree and search for them on there. You could set a timer and see which team can find them the fastest. 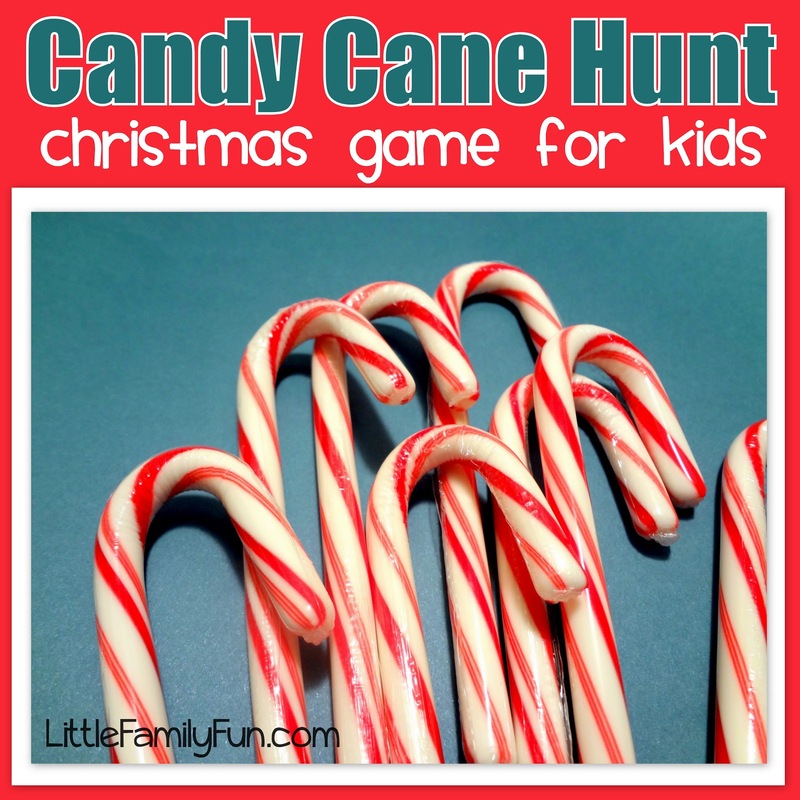 You could even play outside and hang candy canes in the trees & bushes in your yard! And if you're looking for another fun Candy Cane game to play, check this cute Candy Cane Ring Toss game! Awesome Idea!! I will be using this idea to keep them busy during the cold months ahead. Maybe choose other items to hide/find!! Thanks for sharing. Fun idea! I'd love it if you'd link up to our mom's library!